The spring is here and that means plenty of evening meals in the sunshine. This is a 15 minute recipe that is flavorsome and satisfying. I will let you know when the new 575 watt mixer arrives, because I will start making my own pasta. Jamie Oliver makes his with a fork and a bottle. I am no Jamie Oliver. I never know how much of each ingredient I am going to use. That is because I use whatever is to hand. However, if you have good quality EVOO and garlic with fresh basil and tomatoes, you cannot go wrong. Put your water on to boil for the pasta. I like toothsome varieties. That means that we eat a fair bot of linguine and tagliatelle in my house. You can use short pasta if you want. 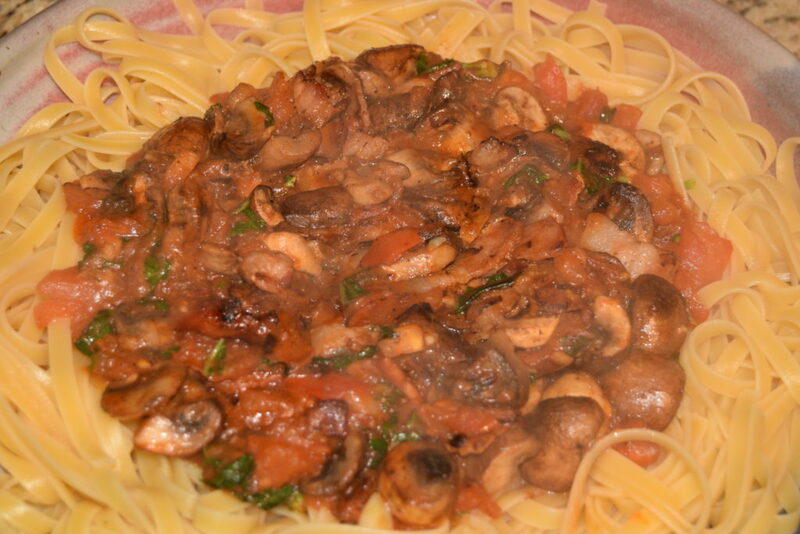 That is the wonderful thing about pasta – everyone gets what they like. 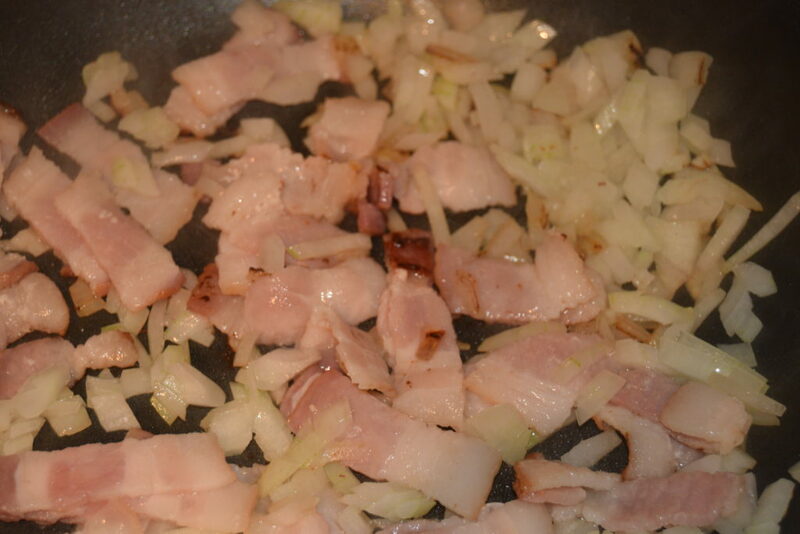 This batch began, as I often do, with onion and bacon. Good salty bacon. I don’t let it get crispy. I want some of the fat rendered in the pan and some of it still in the meat. Omitting the bacon makes this a vegan dish. I think that these white button mushrooms were half-price and that is how they came to be in my fridge and in need of being used pretty quickly. 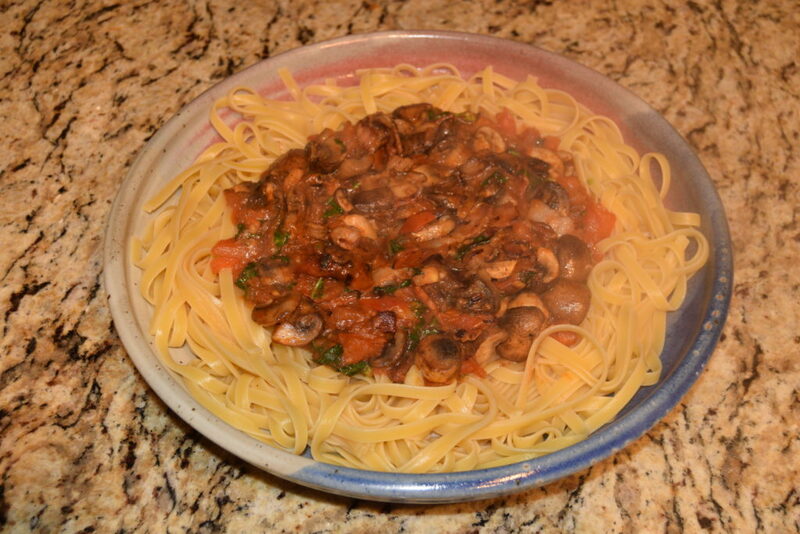 You can really indulge your inner mushroom snob with this simple dish. 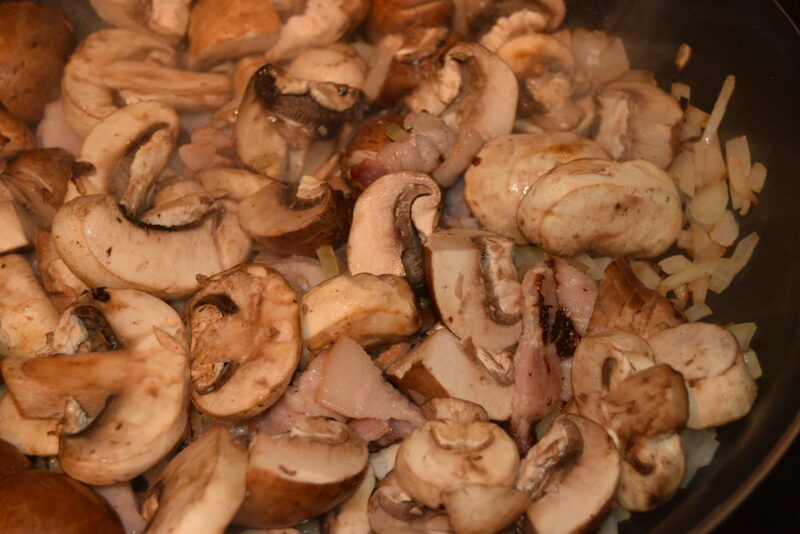 The mushroom are the star, so use the variety – or varieties – that give the most pleasure. 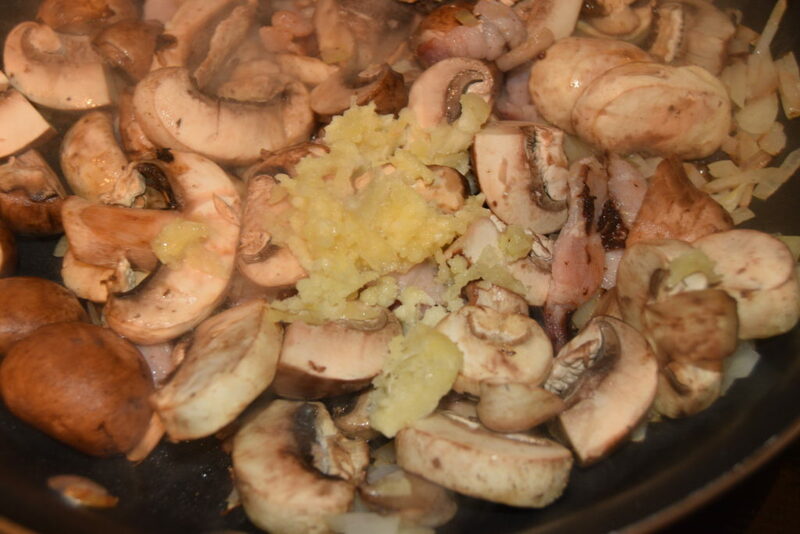 Soon after the mushrooms, I add crushed garlic. 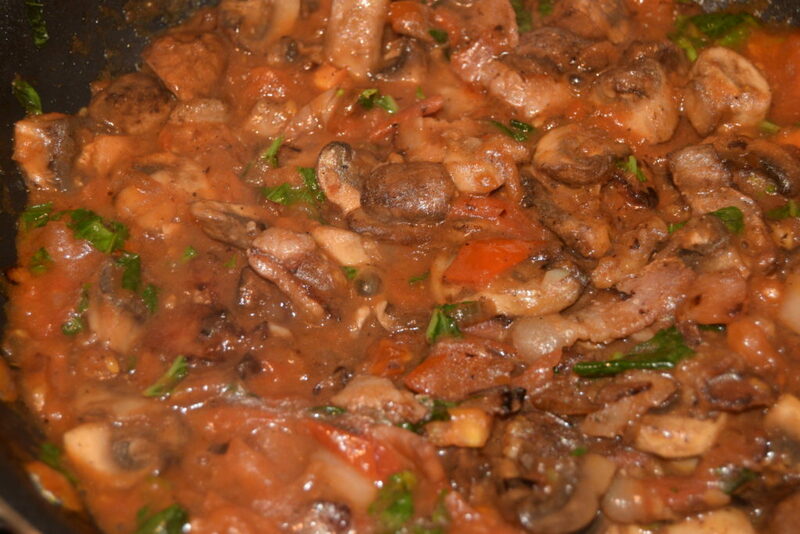 This is a very fast dish, so you do not want big chunks of garlic that are not going to soften and add flavor. Once everything has softened, put the mixture aside in a bowl. 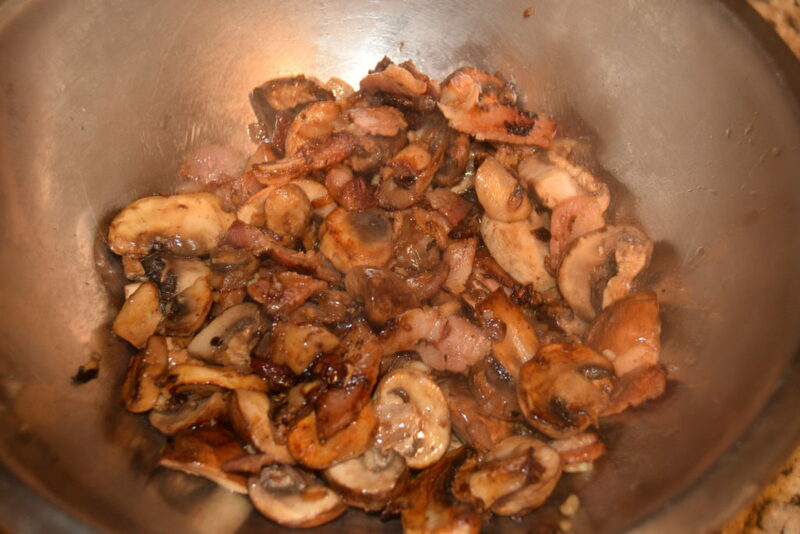 You will be getting juices from the mushrooms. 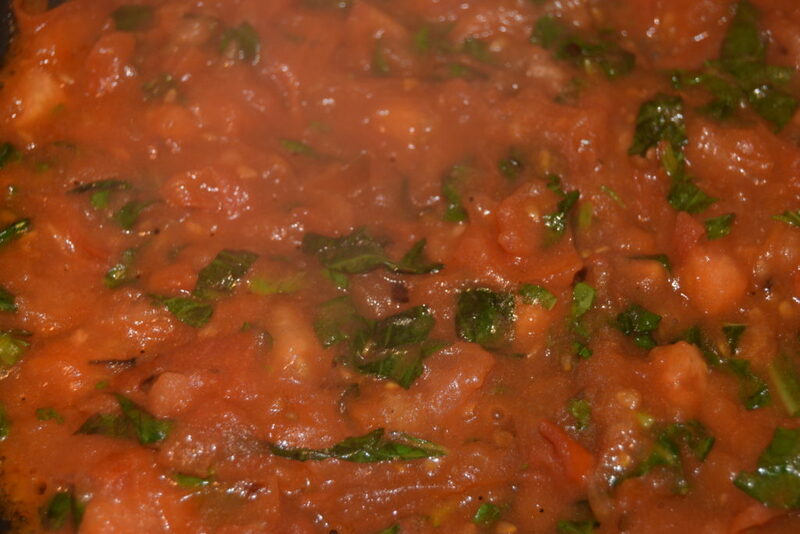 Add a large glug of EVOO to the pan and put your chopped tomatoes in to soften. 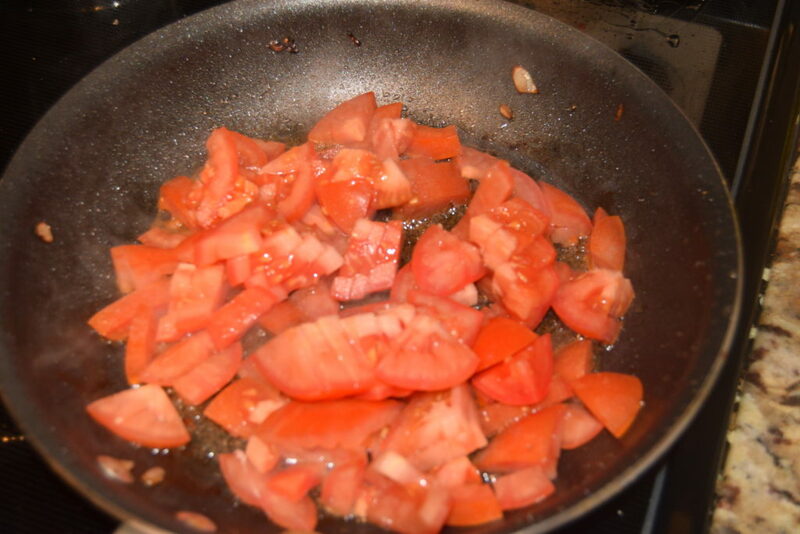 Frying the tomatoes like this will also deglaze all of the wonderful proteins that have stuck to your pan in the earlier stages. 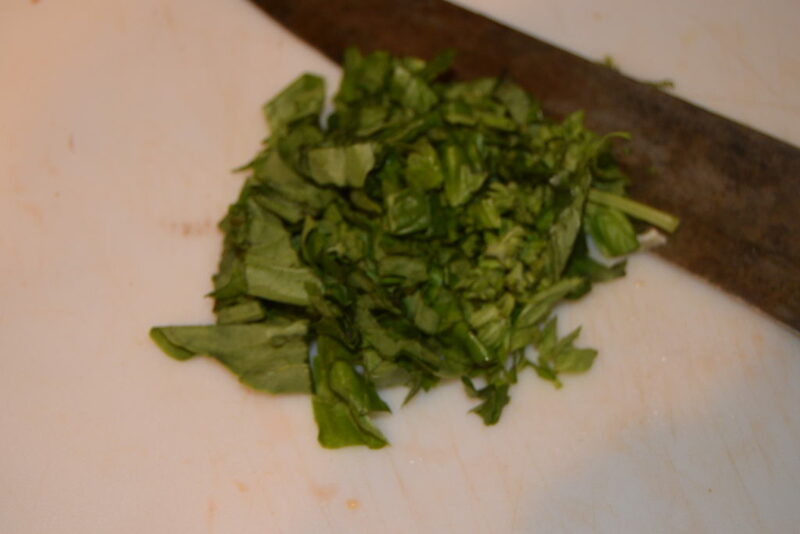 Once the tomatoes have softened to a pulpy=like consistency, stir in the chopped basil. 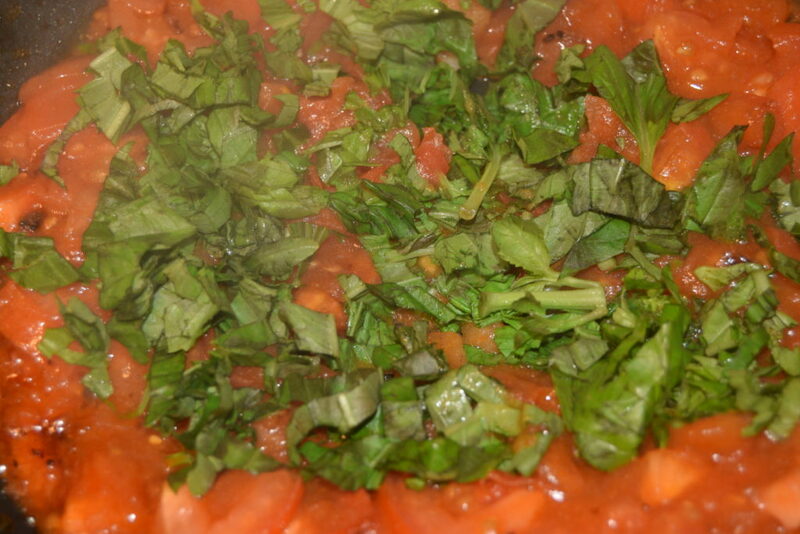 The basil will wilt and add flavor to the tomatoes as it cooks. 2-3 mins tops. Add back your mixture from the bowl.